hairulovchessmaniac: Lot of "Sacrifices" in National Juniors ! Lot of "Sacrifices" in National Juniors ! Thanks to Marcus Yeoh and Andrew Ooi who is doing a great coverage of the ongoing Pearl Point National Junior Chess Championship held from 10th December - 14th December 2008 at The Pearl Point Shopping Mall , Kuala Lumpur. After 4 round have been played, a few shocking results has been produced. 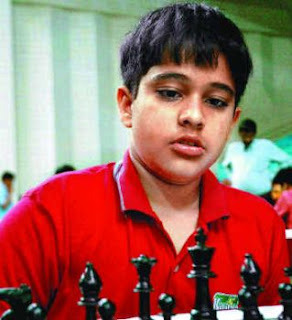 Among them is Sumant Subramniam (photo left) victory against current National Champion and Dresden Olympiad player - NM Edward Lee. 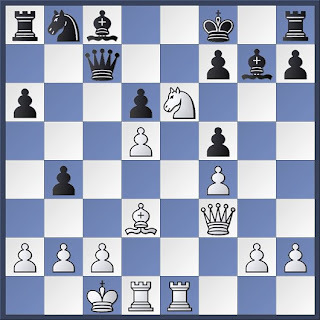 1.e4 c5 2.Nf3 d6 3.d4 cxd4 4.Nxd4 Nf6 5.Nc3 a6 6.Bg5 e6 7.f4 Qc7 8.Qf3 b5 9.0–0–0 b4 10.Nd5 With hindsight, this move is not that surprising because it's still theory. However Sumant must be given credit for having gut to play an unclear sacrifiece against current National Champion...not boys champion but... ADULTS National Champion ! 10...exd5 11.Bxf6 gxf6 12.exd5 So far so theory . 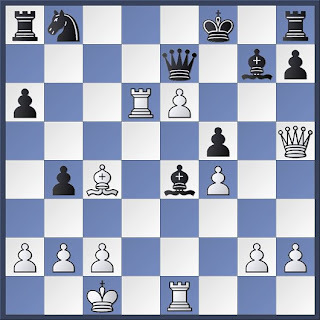 However with his next move, Edward choose a novelty 12...Bg7 Fritz gave three alternative 12...Qc5; 12...Ra7; and 12...Bb7. The idea behind all that move is to move the king to the queen side starting with..Kd8 .Black's king should find a better shelter there compare to his king side. 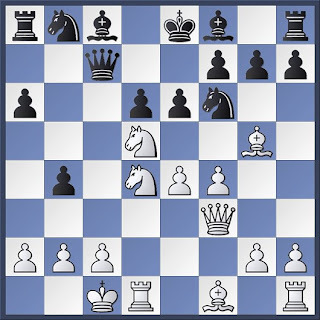 So Edward 12...Bg7 with the idea of later ...Kf8 probably is not a good choice. 13.Bd3 f5 14.Rhe1+ Kf8 15.Ne6+ ?!? 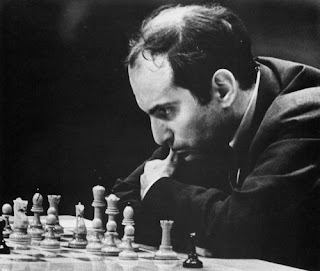 a nice bluff however as i mentioned before Sumant should be credit for playing bravely, more in the spirit of the former World Champion - Mikhail Tal (photo right) . I remember one of his interesting quote regarding his own play- "There are two kinds of sacrifices: sound ones, and mine." 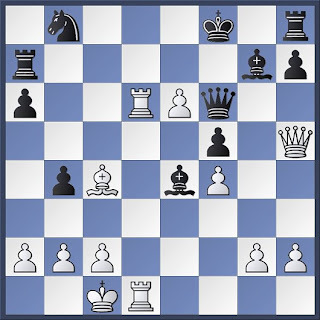 15...fxe6 16.dxe6 Bb7 17.Qh5 Qe7 18.Bc4 Be4 According to Fritz, Black still have significant advantage but 18...Bf6 adding more control over the important blockading square on e7 is probably better 19.Rxd6 another sacrifice! Mikhail Tal grave must be shaken ! 19...Ra7 20.Red1 Qf6?? A desicive blunder. Edward probably cracked under pressure. It's difficult to defend patiently especially when your opponent has sacrifiece three times and still alive ! Black have defend almost perfectly but as what chess teachers always said- "The players who lost a game is the player who make the last mistake "
A beautiful performance by the youngster !